It is well-known that Mac Blu ray Player is a professional mark in the Blu-ray playback field, which matches Mac systems on super high level, like Mac OS, Mac OS X, Mac OS Lion, and it will continue supporting Mac's new system even better in the future. Mac Blu-ray player, as the world's first Blu ray player for Mac, has received good fame and high praise throughout the global. As a history-changing innovation, it first makes Blu-ray playable on Mac, which end the history that Mac failed to support Blu-ray movies and satisfied the Mac lovers to their heart content. Among the various kinds of video players on the market, Mac Blu ray Player is the only that can truly play Blu-ray Disc on Mac. It can support Blu-ray playback on all models of Mac, including not only Macbook Pro, Air, Mac Mini, but also iMac and Mac Pro. It also supports all Mac systems existing today, including Mac OS, Mac OS X, Mac OS Lion, and it will support any new Mac system in the future. 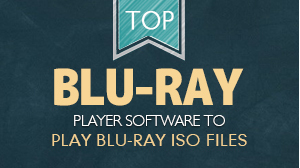 Since it is released, Mac Blu-ray Player has been going ahead in this field. With advanced Blu-ray decryption and processing capability, Mac Blu-ray Player can perfectly support Blu-ray decryption and is capable of removing AACS, BD+ without limitation. Currently, Mac Blu-ray player can support any media formats on Mac systems, Mac OS, Mac OS X, Mac OS Lion, etc. Another thing is worth specially mentioning is that Mac Blu-ray Player is the first Blu-ray player on Mac systems (Mac OS, OS X, OS Lion) that can support DTS5.1 across the world, which makes its outputting quality even better. 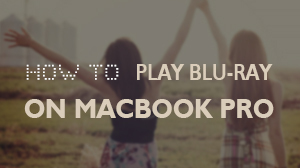 Mac Blu-ray player is perfectly compatible with Mac as it was and it will be in the future. As the spokesman said that the relentless pursuit of perfect is our terminal aim and we are working hard to write a more splendid chapter to the video conversion history, the galaxy of talents of Macgo is devoting themselves into making Mac Blu-ray Player more excellent on Mac OS, OS X, OS Lion, etc.